Apple laptops are by far, in my opinion the best laptop to buy for longevity. Their resilience to viruses and the build quality is far superior to other laptops on the market. What I cannot understand though is why they cannot make a charger that lasts more than five minutes. 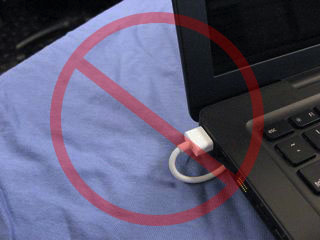 All other laptops I have owned have used the same power source and should I forget it, I can usually find something else around that uses the same adaptor. It has never broken, although I have never had a laptop other than an Apple MacBook that lasts more than 2years. 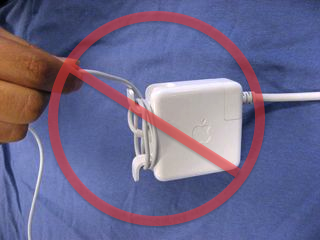 So, why would Apple make their own power source that is so fragile? I have had the same MacBook Pro for the last 7years and it would not be an exaggeration to say I have had around 10 chargers in that time. Apple have their own official line, which states that it is the misuse of their chargers which leads to them breaking so often. Therefore, we need to learn how to take care of our precious chargers! If you, like me are a repeat offender then please read the following. 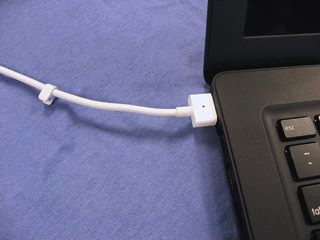 Adopting these use habits with your MagSafe power adaptor will considerably increase its use, as the metal wire is brittle, it will succumb to breakages if it is continuously bent in the same spot. It is important to support the weight of the adaptor when wrapping/ unwrapping the cable. 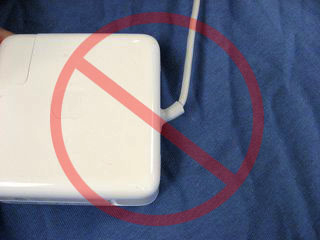 Failing to support the cable and letting it fall can damage the adaptor. 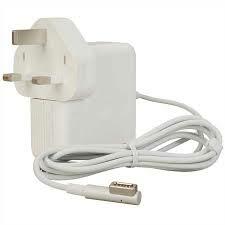 The pull of the weight of the adaptor on the wire can break the wire. Bending the wire excessively can break the wire. 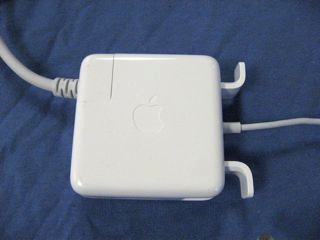 If bent continuously where it meets the adaptor brick it will break. 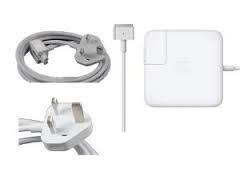 Breakage will also occur if the wire is bent continuously over time at the MagSafe adaptor. This is the same for a T shape or L shape adaptor. 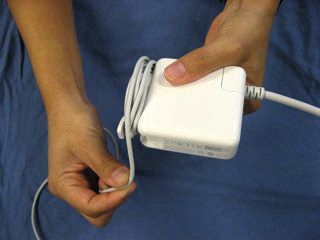 If you have your plug attached straight on to the adaptor and find that it stretches the cable, you need to move to using the three pronged grounded connector. The extra length added will ensure that you do not over stretch the wire. When using the T shape adaptor, it is important to not pull the wire back on itself but leave enough slack not to bend the wire. The wire should also run behind the laptop. You must not run the wire under the computer. 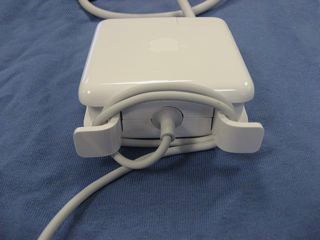 When using the L shaped adaptor, the wire must not run along the other ports as they may become tangled and bent to move them out of the way. Keeping the wire clear of obstructions will also prolong its lifespan. You may look at this and think DUH! But I have actually done this… it is easier than you think. When packing away your connector you need to keep the following in mind. Utilising the “wings” when packing the cable away will be beneficial if done properly. If pulled hard, they will cause the same bending and breaking as other improper use. 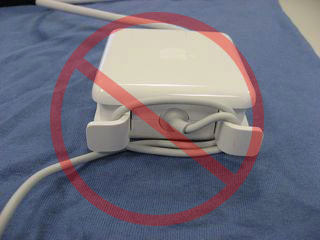 Wrapping the cable too tightly will cause stress and bending to the wires. Leaving some cable at the connection point and wrapping loosely is the correct way to use the wings. Apple also suggests that if you are using the cable in more than one location regularly you could leave adaptors in each location which would be ideal but at £65 per charger that is not a solution for all. With all HardSoft leases on Apple MacBooks we offer 3 years warranty. 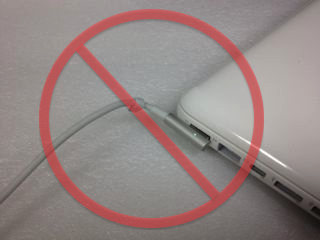 Broken Apple MagSafe chargers is the most common problem we have with any device that we lease. 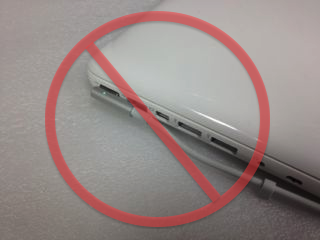 Numerous chargers are returned weekly, we cannot accept chargers which have not been cared for in the right manner. 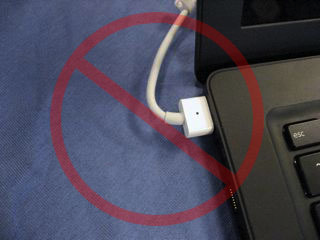 A photo of the broken charger is now requested before it is returned to ensure that the proper steps have been taken to care for your charger. We are 100% happy to replace chargers which have broken with the right care but cannot take accountability for those which are misused. 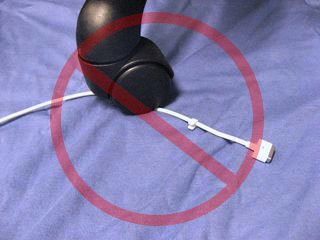 Please ensue that you are taking proper care of your charger!